Top 10 Books On My TBR List. – That Girl Dorian. 2. American Gods – Neil Gaiman. 4. 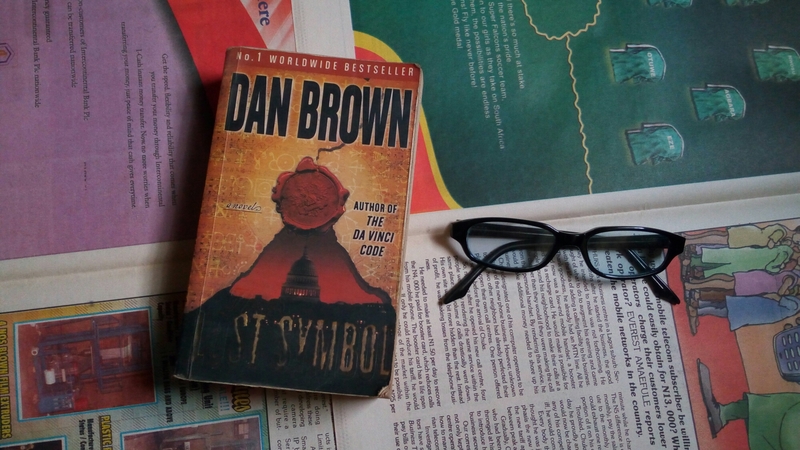 The Lost Symbol – Dan Brown. 5. Salem Falls – Jodi Picoult. 6. November 9 – Colleen Hoover. This book made headlines a while back. Told from the perspective of a five year old child who has spent all his life in one room with his mother, Room is a book that discusses the power of resilience and the bond between parent and child. This is the only YA book on my list. It’s about two girls, Bo and Agnes who come from radically different families. The book explores sexuality,family and living with disability. I hope I like this one. 9. The Martian – Andy Weir. 10. Under The Udala Trees – Chinelo Okparanta. This book should be the only Nigerian book on LGBTQ issue (I’m not so sure), but I’m excited to read it. I’ve had it for a while now but just haven’t gotten to it yet. It’s a story woven around two young girls who fall in love during the Nigerian Civil War. Well, there. These are the books that are at the top of my list this month. Have you are any of them? What book(s) do you want to read so bad this month? Previous A Note For Someone. Next For The Fruits Of The Loins. I see you’re a fan of Jodi Picoult! Room was so good, both in movie and book form. Havent read The Martian but loved the movie! Also, good choice with Under the Udala Trees. I loved it. There probably ARE other books set in Nigeria that deal explicitly with LGBT issues, but this is one of the most recent and prominent ones. I am a very big fan of hers. I’ll check the movies out. I agree with you, Chinelo’s book is the most recent one, I think. Interesting taste you’ve got. I like Dan Brown too. I hope you succeed in reading all of ’em this month… Its quite a goal… its cool. Brown is an amazing writer. I hope laziness doesn’t take the better part of me. I haven’t read any yet.. Lol.. Over here there is no standard book shop each time I ask they say it’s not available.. 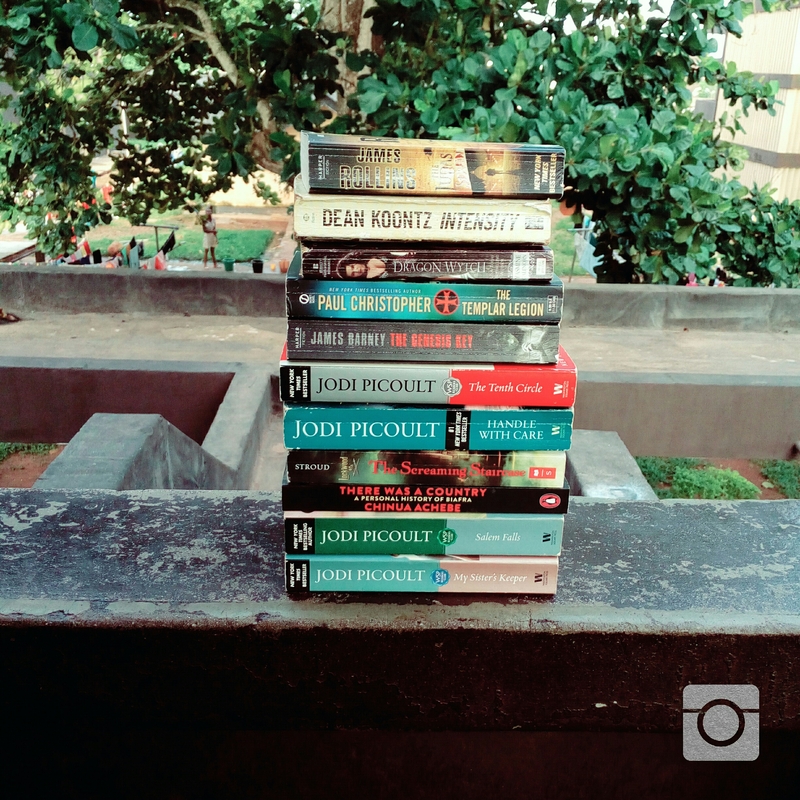 But I’ve seen and heard a lot about Jodi picoult… Dhebbie thumbs up.. I know the struggle, dear. Thanks for taking time to read this. Read The Last Symbol and be enlightened. Even though Mal’akh was a villain, I loved him *cleans tears*! Why aren’t there any classics though? I don’t know.. I hope to read Harper Lee soon though. Will that suffice?? Hehehe . Thanks for commenting! Enjoy your list of books. It sure will. Thank you! Room and American Gods are both on my list! These are some very interesting reads. Hoping I can get back into reading soon. I have read Room and November 9 and I recommend both books.I have heard good things about the Dan Brown, Jodi and Elanor and Park. Great books you have here. Enjoy!